On March 14, 2018, one month after the Parkland, Florida high school shooting, Burbank High School participated in the National High School Walkout Day in honor of the 17 victims of Marjory Stoneman Douglas High school in Parkland, Florida. 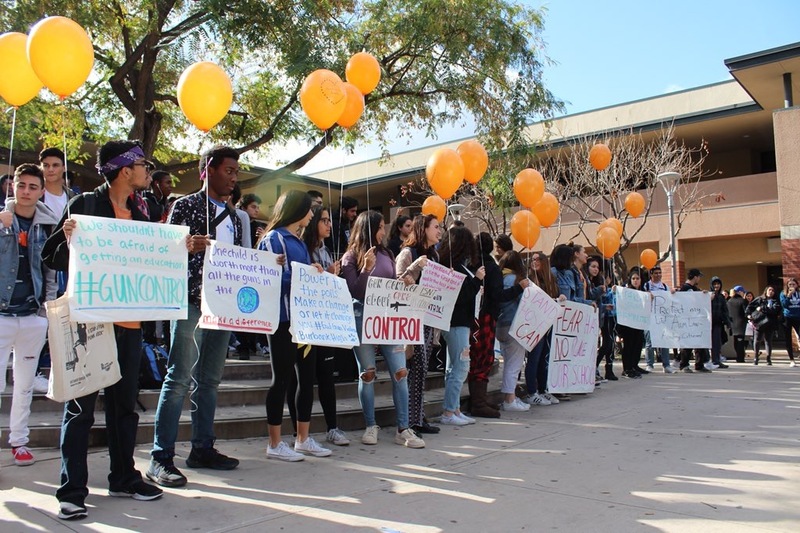 During the event, Burbank High School students held a moment of silence and participated in the event for 17 minutes in honor of 17 victims and released 17 balloons, each balloon holding a of the victim’s name. Number of students gathered in the main quad showing their support and participation with a number of signs relating to the ongoing topic of gun violence and gun laws. As for the rest, some students decided to take another measure and walk outside of the school’s front gate and protest in front of the school. Burbank’s inner and surrounding community took part with the event as well, such as teachers, administration, staff, parents of students and Burbank Unified School District employees. Personally, being apart of this event felt empowering and life-changing, showing that the ongoing young generation is capable of huge things and the fact that I’m apart of that generation feels enriching. I encourage anybody my age, younger or older to stand up for what you believe in and use your voice, physically or on the Internet. May todays national movement be the key to stop future and ongoing fear within students at school.